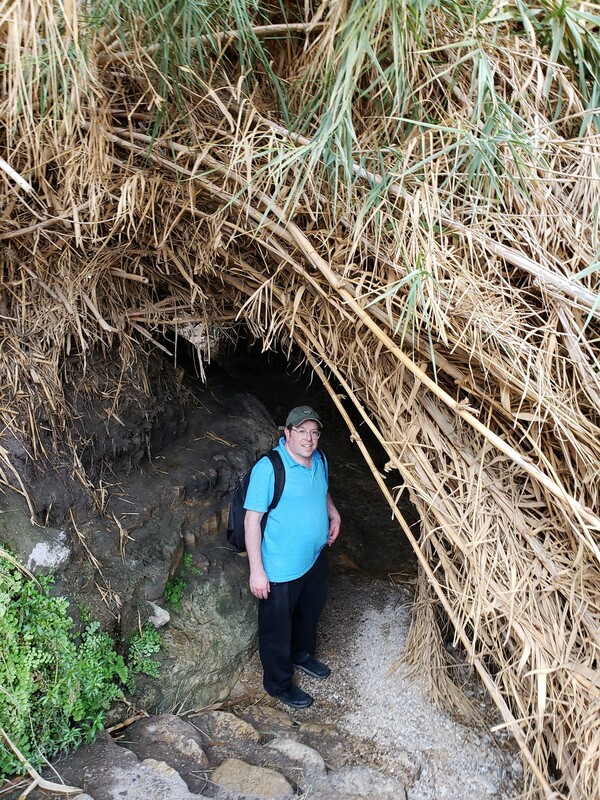 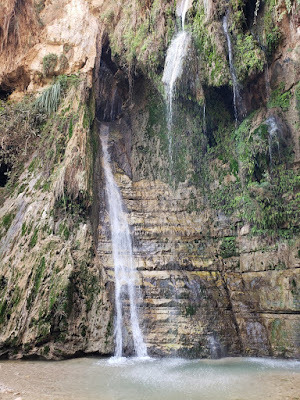 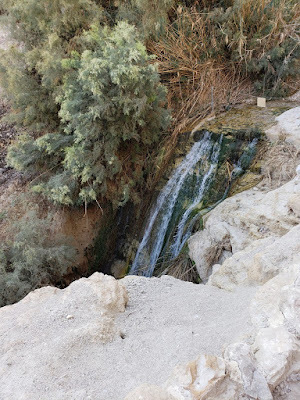 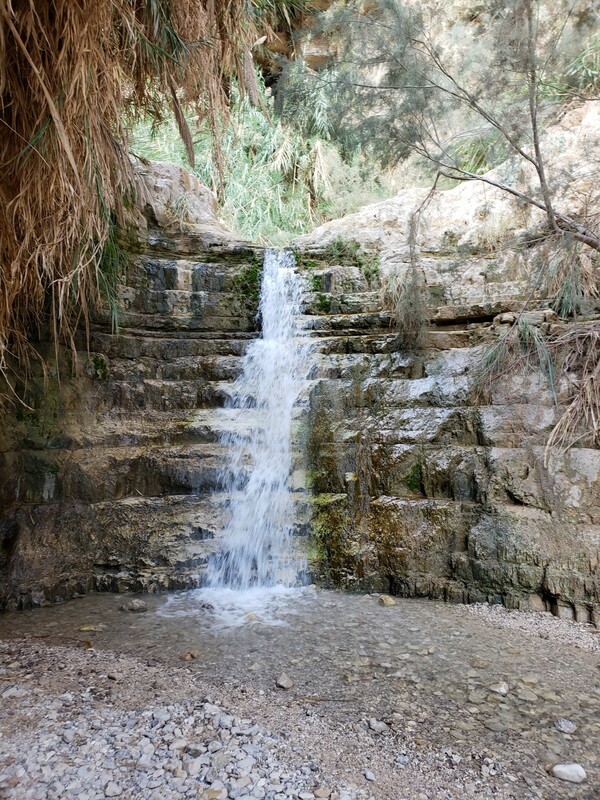 Continuing on our trip in Israel, we visited the Ein Gedi Nature Reserve which is a natural oasis of flowing water in the Judean Desert. 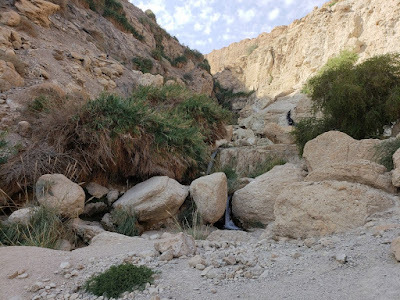 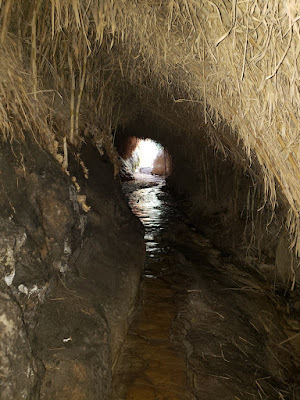 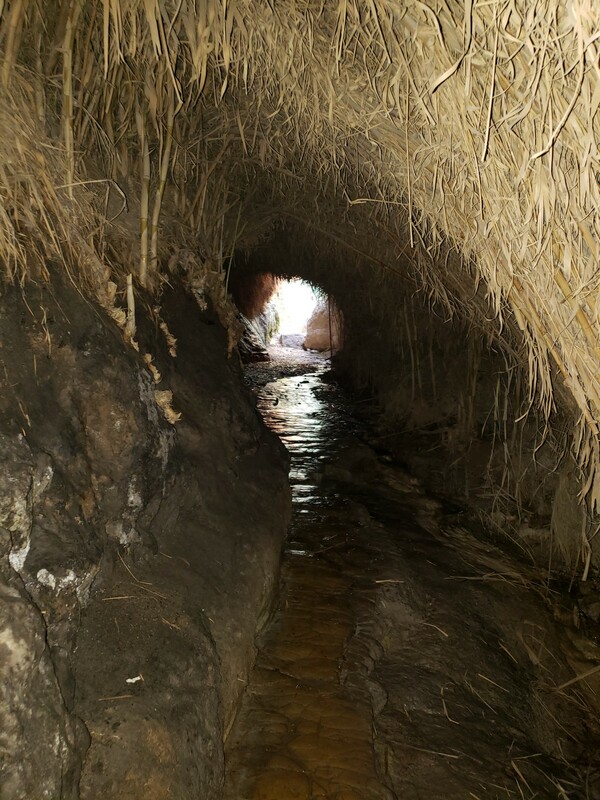 There are two main area - Nachal David and Nachal Arugot. 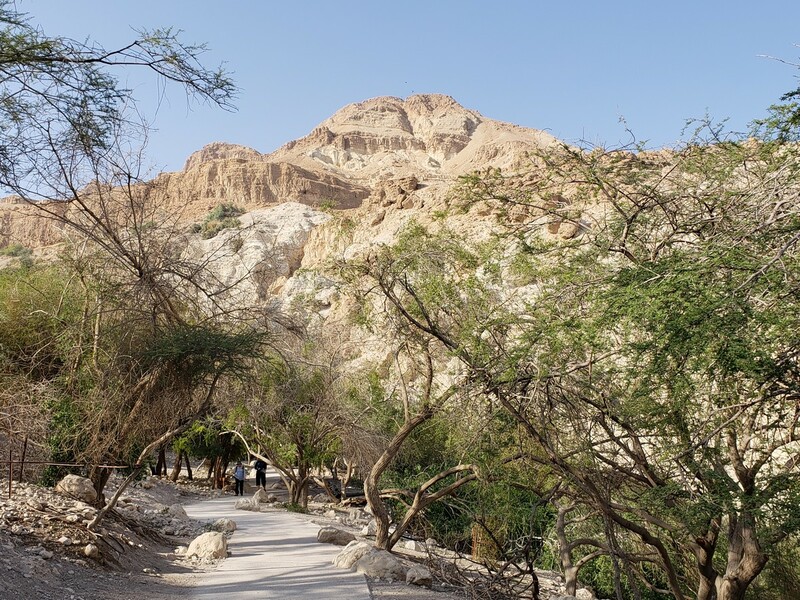 Nachal David is the shorter hike, being a one mile loop, and is much more popular and touristy. Nachal Arugot is a longer and more remote area. 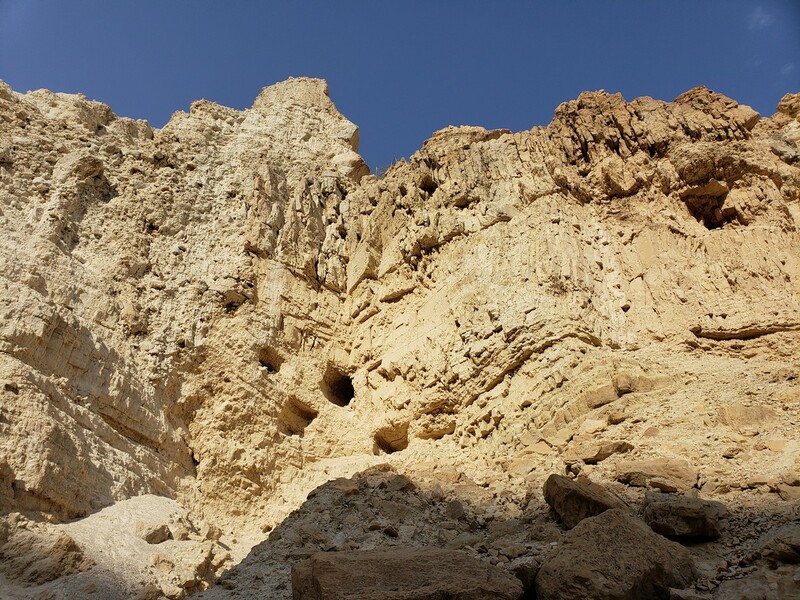 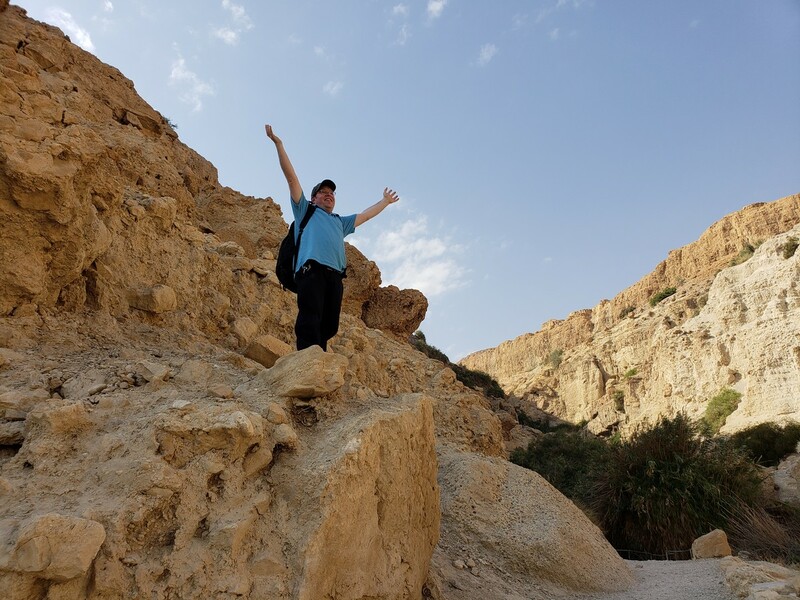 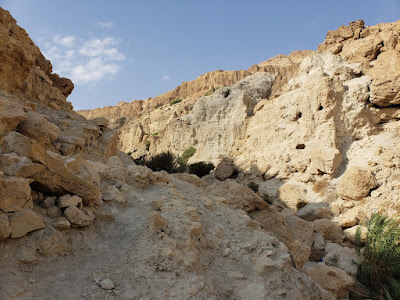 This trip was to Nachal David, and we took the Nachal David loop through the valley along the Dead Sea Valley. The trail features several waterfalls and some dense, lush growth along of the stream which is a stark contrast to the barren surrounding desert. It is very scenic but is quite short and almost always very busy. 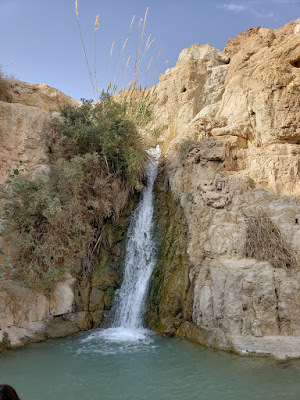 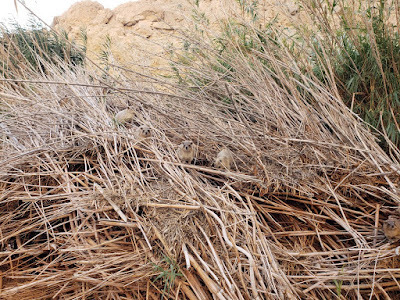 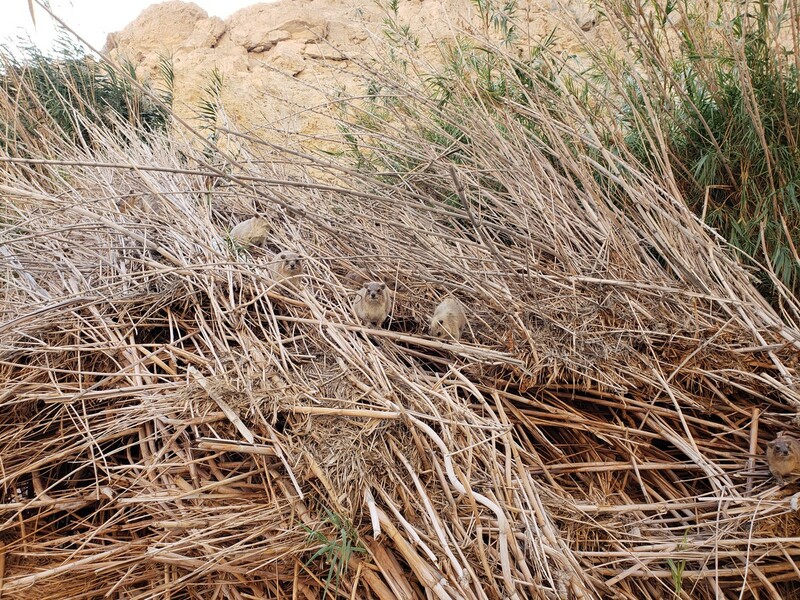 I had wanted to climb up the mountain to the Shulamith Spring, but we did not have the time.